ProfiUK - Leading UK inventory stock management system. Manage your comprehensive stockholdings with ease. Scan stock in and out with the barcode scanner and view information in real-time on the user-friendly Android app. 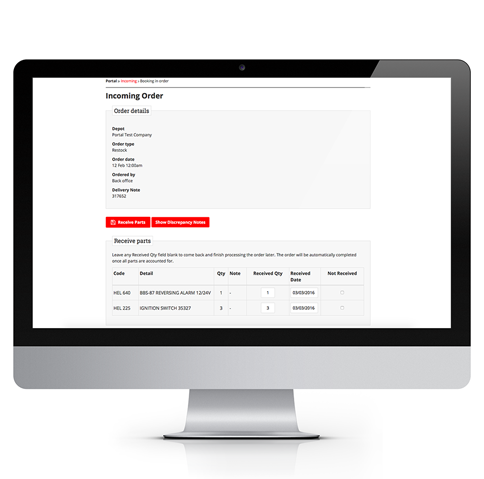 Stock is replenished automatically and customisable reports are produced in seconds, aiding the smooth running of workshops nationwide. With a choice of Profi packages available, we can match you to the one that best suits you. We can show you the system in action in real businesses like yours. Its making a difference to them, let's see if it can do the same for you. The HTS managed stock system just saves so much time. It aids the smooth running of the depot because the parts are there as you need them. It removes the responsibility of having to purchase them!